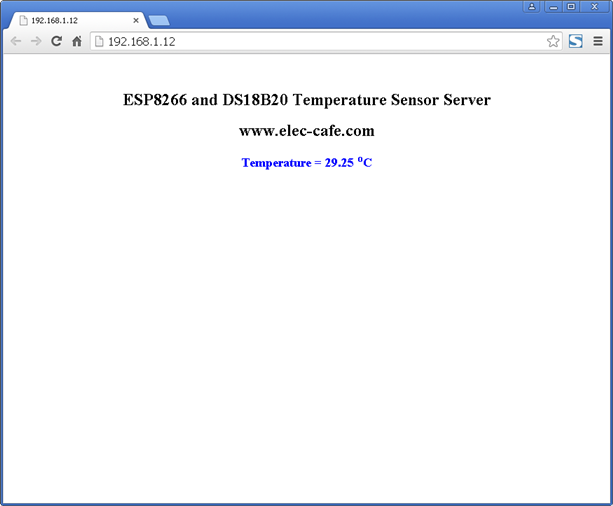 Using a ESP8266 display temperature with DB18B20 sensor on the webpage at running by ESP8266 Module. 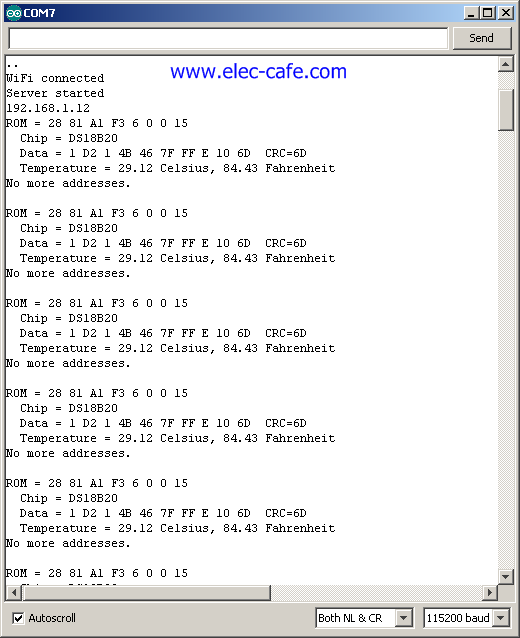 Compile and upload code to ESP8266. 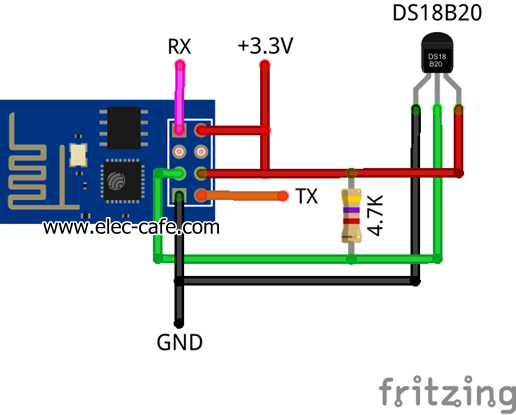 Check ip address ESP8266 Module with Serial monitor.